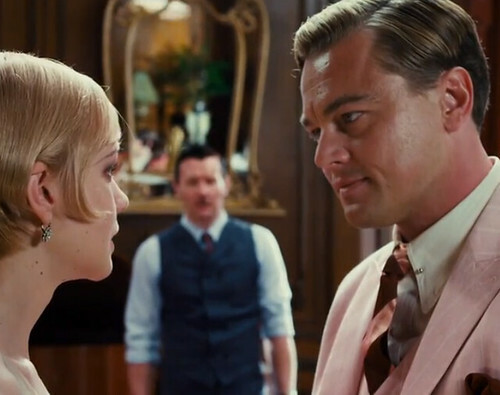 The anticipation for the upcoming The Great Gatsby film is definitely growing by the day. Both movie critics and fans have been talking about the film adaptation of F. Scott Fitzgerald’s 1925 novel for over a year. But more recently the movie’s soundtrack has also generated a tremendous buzz, thanks in part to Jay-Z, who is producing it. Not to take anything away from Gatsby stars Leonardo DiCaprio, Tobey Maguire, and Carey Mulligan, but for hip-hop heads, just the though the of new Hov track is enough for us to tune everything else out for a bit. Also, we can’t forget about the Bey x Andre 3000 Amy Winehouse cover that will also be included. For now, you can hear very brief snippet of their collabo in this new trailer. KANYE WEST SHOULD HAVE BEEN CHOSEN TO PRODUCE THIS SOUNDTRACK THEN IT WOULD HAVE BEEN GREAT AND NOT JUST A SOUNDTRACK COMPLETED OUT OF NECESSITY! THE TRUTH OF THE MATTER IS KANYE COULD HAVE DONE THE THRONE TOUR WITH ANOTHER CONSCIOUS RAPPER, COMMON. KANYE HAS LOVE FOR HIP HOP, THE CULTURE AND THE PEOPLE. ONE LOVE. MADD LOVE. INTENSE LOVE. ETERNAL LOVE. HE AND BEYONCE AREN’T THE ONLY TWO PEOPLE COMING OUT WITH ALBUMS AND TOURS THIS YEAR. THAT’S WHY IT TOOK SOOOOOOOO LONG FOR THIS DUDE TO COME UP AND WITH THE HELP OF FOXY……AIN’T NOBODY TRYING TO HELP A POSER. Is that you Foxy Brown?